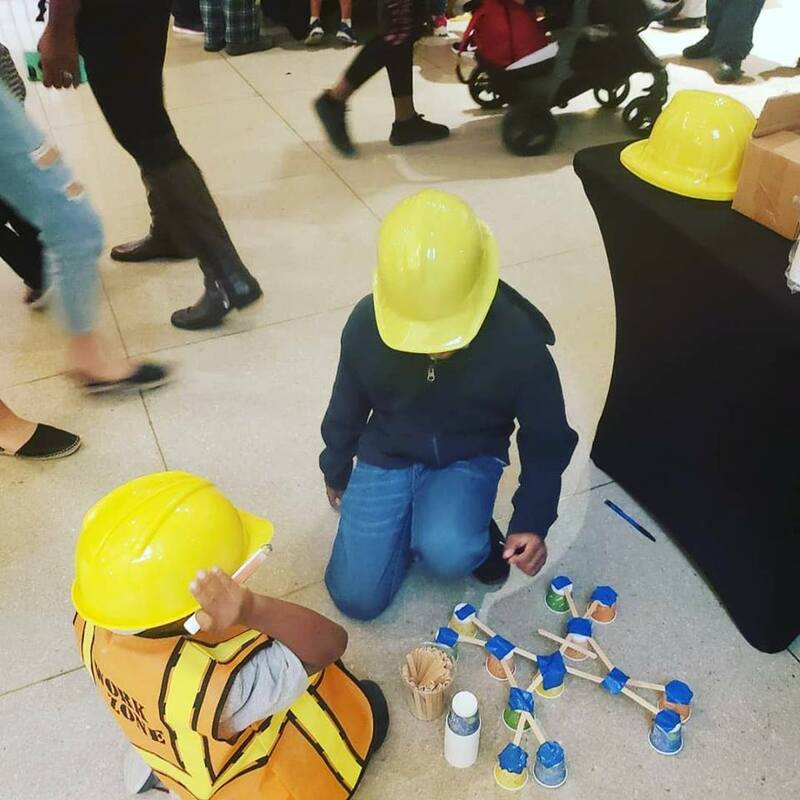 ECP hosted and booth at the Franklin Institute Diversity day where kids were introduced to engineering principles through hands-on activities. Thank you to our volunteers! ECP and Plymouth Whitmarsh High School joined together for an Engineering panel discussion, technical presentation, and Hand-on Engineering activity. “Building Bridges through STEM” is a series of presentations aimed at engaging high school students interested in pursuing careers in the engineering profession. Students have the opportunity to network with professional engineers as they participate. The event is designed for about 50 students with accompanying teacher/chaperone. 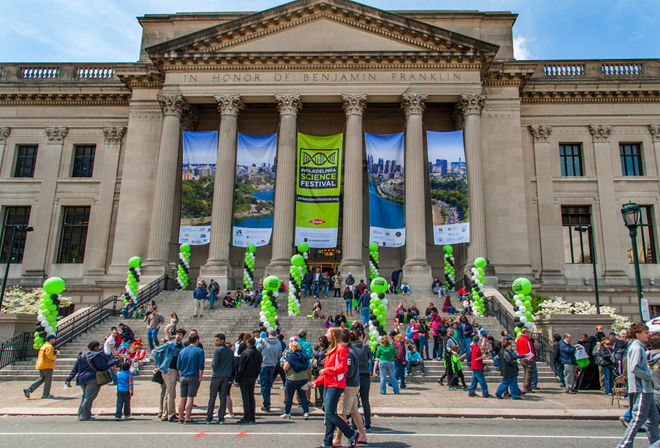 ECP hosts and booth Annually at the Philadelphia Science Carnival. The Carnival is a highly visible outdoor event that provides opportunity for exchange between children, teens, families and local scientists/engineers – it is the culmination of the week-long science festival. We have family-oriented science entertainment with a hands-on activity or an interactive demonstration to get kids excited about all types of engineering! 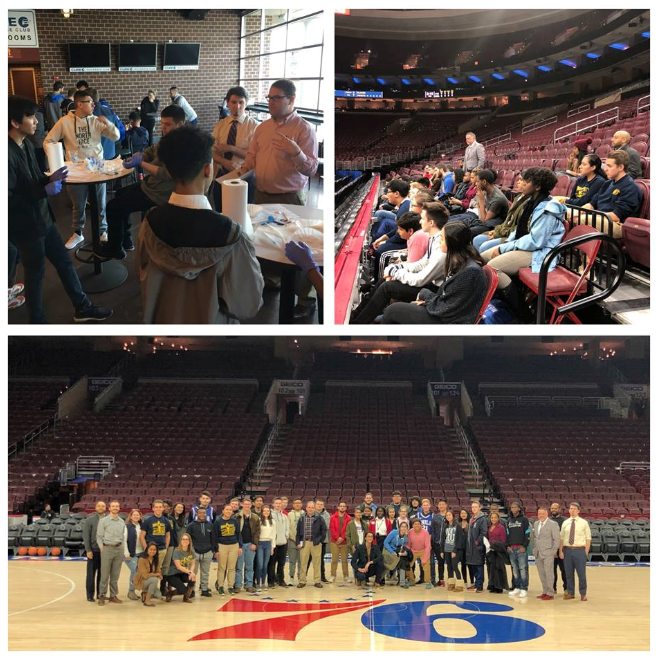 The Engineers' Club of Philadelphia held its 4th Annual Engineering Night w/ the Philadelphia 76ers on Monday. The program allowed over 40 high school students to gain insight into the field of engineering through a panel discussion with engineers and hands-on activities. The Club is extremely grateful for all the volunteers who helped make this event a success: Christine Alizzi, Kevin Brown, Luisnel Cuello, Michael DeVuono, Ajin Fatima, Lauren Garoppo, David Hagan, Ted Heron, Catherine Martsolf, Sean McGovern, Ryan Mowers, and Dennis Wilson.